Different chicken breeds have different space requirements. 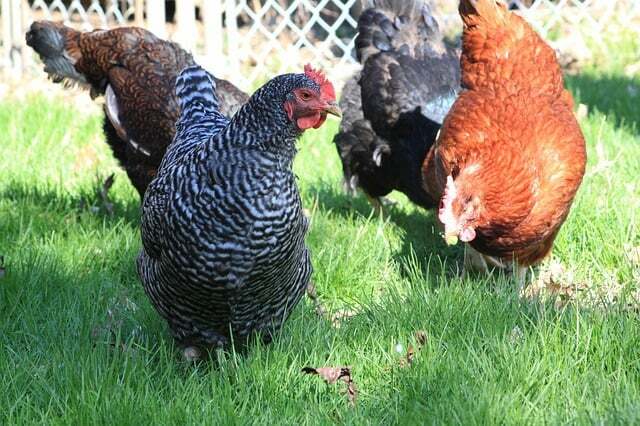 Chicken owners with large farmers or homesteads don’t need to worry about the breed they select, but backyard homesteaders need to pick chicken breeds for small spaces. Picking breeds with smaller space requirements will keep your flock happen, which means happy chickens. Happy chickens lay eggs, which is why you want them! All of the breeds listed do well with confined spaces. 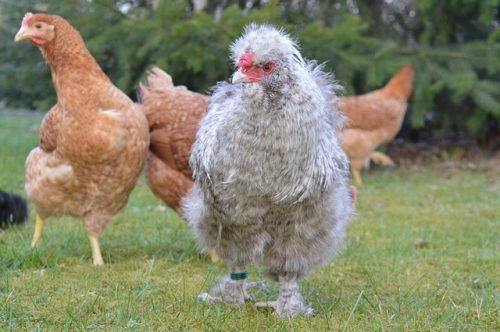 Silkies are a popular choice because they’re adorable! Seriously, how can you not look at a Silkie and not smile? It’s impossible! Silkies don’t require much space and tolerate confined backyards, which is another reason why they are popular. This breed doesn’t fly, so you don’t need to worry your chickens will visit your neighbor’s porch. You don’t have to worry about your Silkies making noise in your backyard. They tend to be quiet unless laying eggs. Their behavior and personalities are docile, making them a good choice for homesteaders with kids. 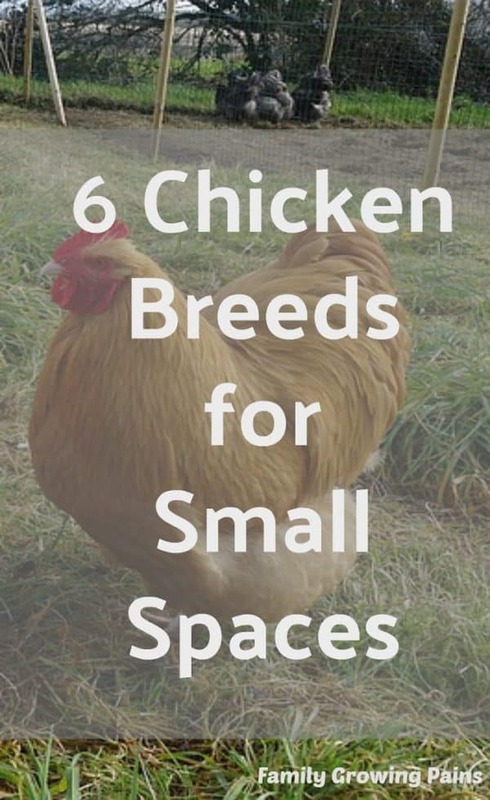 Different chicken breeds have different space requirements. Chicken owners with large farmers or homesteads don’t need to worry about the breed they select, but backyard homesteaders need to pick a chicken breed for small spaces. Another breed you might like is Australorps, a popular pick in the backyard chicken movement. 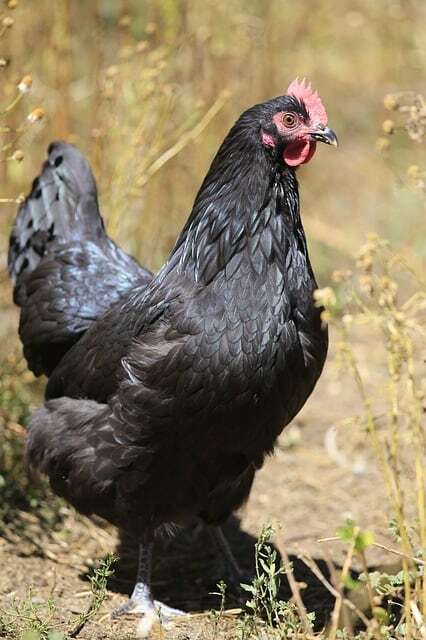 At the same time, Australorps love to free range, so anyone can enjoy this chicken breed. They tend to be calm birds with docile personalities, which is great if you have kids. The top reason to raise Australorps is that they are prolific egg-layers, and we raise chickens for the eggs. We don’t want free-loaders, right? Expect between 250 to 300 eggs per year! If you do decide to raise Australorps, make sure they have a run, allowing them to forage in the safety of an enclosure. Orpingtons tolerate small environments and produce around 200 eggs per year. 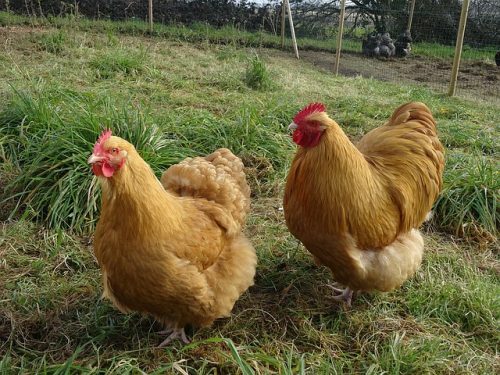 This chicken breed is a dual-purpose chicken, so they are a good meat bird as well. You’ll find that they have docile personalities and enjoy humans in general – small and big humans. 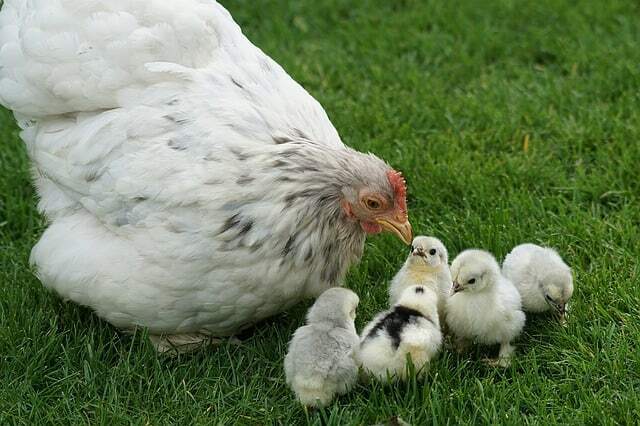 In fact, Orpingtons hens tend to be very motherly, embracing the term mother hen fully, and they love to mother kids, including humans. You have a good chance that one or more of your hens will go broody, which our family loves! 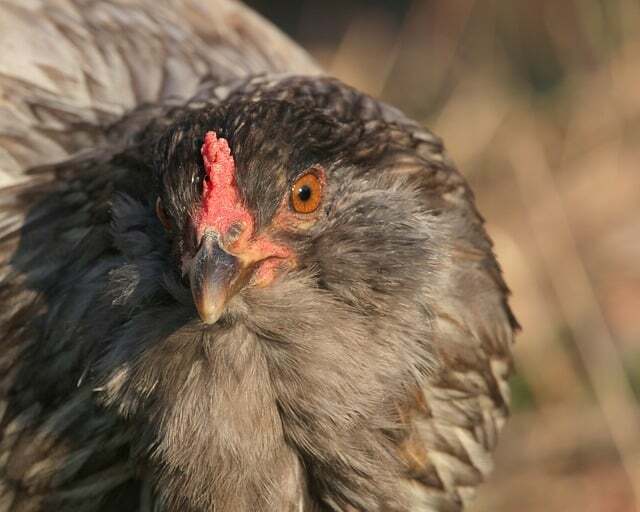 Technically, Easter Eggers aren’t a “breed,” but backyard chicken keepers love them. As their name might indicate, Easter Eggers lay eggs in a variety of shades. Each bird has a particular shade they will lay, anywhere from brown to green to pink! They are a hybrid bird from the cross-breeding of Araucanas and Ameraucanas. Families with kids, in particular, steer towards this breed because they are known to be very docile, curious, and quiet. Easter Eggers tolerate winter and low temperatures well, but they do well in warm climates as well. You can expect to get around 200 eggs per year per bird. 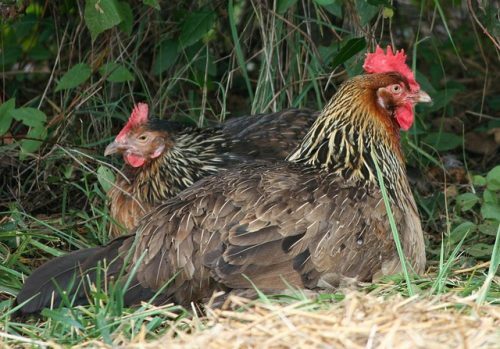 Many new chicken owners include one or two Plymouth Rock chickens in their flock. This breed is a popular first-time owner breed because it is a trustworthy choice. These chickens love to be petted. They are friendly and calm, perfect for a family flock. Plymouth Rocks are supposed to be a dual purpose breed, reaching close to 8lbs. Homesteaders consider them one of the top chicken breeds for small spaces – some breeds get much larger than 8lbs! Plymouth Rocks lay around 200 eggs per year, even through the winter! They tolerate confinement well, but they do like to wander a bit. Cochin Bantams are an ornamental breed, just like Silkies listed above. Owners love their calm disposition because they are docile and perfect for a family flock. Plus, who doesn’t love their fluffy butts? Cochin Bantams are often called Pekin Bantams, and they originated in China. These chickens make fantastic broody mothers, so if you want to hatch eggs, consider this breed. Plus, Cochins don’t need tons of space, and you can get them in several color varieties. There are buff, partridge, golden laced, barred, black, white, red, and mottled – so many different picks! Raising chickens on your backyard homestead in the suburbs means you have to think about selecting the right breeds. Look at the average size of a mature chicken in that breed. Does the breed like confined spaces or do they prefer to free range? Put some consideration into picking the right chicken breeds for the suburbs! Our Buff Orpingtons are the friendliest birds we have right now and our Barred Rock are amazing layers! We also love laced wyandottes!! Our Wyandottes are some of the friendliest, but Buffs are such good family birds! I’m clueless about chickens – but I can tell you’ve put together some very useful info here. I’ve always dreamed of having some chickens in the backyard — so I’m pinning for later when the hubs and I finally are ready to seriously think about adding some chickens. Thanks for all this info!